But isn’t the reward of this label, like the Oscar’s Lifetime Achievement Award, really just a tautology? Even the worst shot will eventually hit the target. Do we really need a special marksmanship award for this? Isn’t all success at long last the result of perseverance, or simply not giving up? Maybe we’d all be better off if certain people had given up sooner and then went on to do something to which they were better suited. Far more deserving of nurture are those who enjoyed early success and none afterward. Think of the rock stars who became celebrities in their early twenties and were never heard from again. What are they up to right now? Are they sitting in a rooming house lobby or an AA meeting and droning on about the time in the early seventies when they drank or did drugs with this or that celebrity, and slept with this that man’s wife? These are the men and women who need to be brought back to the limelight before it’s too late. What’s Gloria Gaynor doing right now? Her anthem “I Will Survive” literally changed the lives of tens of thousands of women, and a few homosexual men, as well. No, I don’t want to even search for her on the Internet. For all I know, she died of an overdose in 2001, or was beaten to death by an angry anti-disco mob in Islamabad last year, but instead of letting the facts invade my solace, I would like to believe that she’s a happy grandmother in good health, living near her family, volunteering to teach music at a nearby orphanage. OK, so Gloria doesn’t need our help, but what about Gilbert O’Sullivan? Leo Sayer? The lead singer of Heart, you know the pretty one with the weight problem. Are they discouraged, resentful, in need of just a fraction of the praise they once so freely received? Have they found meaning and delight in an entirely unrelated line of work? Usually, former TV actors either go into real estate or become oil painters. Sometimes they do both. When Mexican TV cowboys Pancho and Cisco saw the handwriting on the fifties television wall, they stepped out of their colorful gaucho clothes and went into real estate, doing quite well. It was hard not to do well in Los Angeles real estate in the decade after the war. Often, maintaining your original course isn’t a sign of virtue, on the contrary it’s sometimes the result of having no apparent better option. I’ve been steadily if slowly learning to play the piano for more than fifty years. I’m still not very good at it. Is that virtue or vice? Success or failure? Do I deserve admiration or pity, an award or pubic castigation? Yet someone could easily say that I’ve shown perseverance, and that’s a virtue, right? Obviously we could stretch this argument to its breaking point. John Wayne Gacy displayed remarkable perseverance in killing boys and burying them under his house. Against great odds, he remained undetected for years. 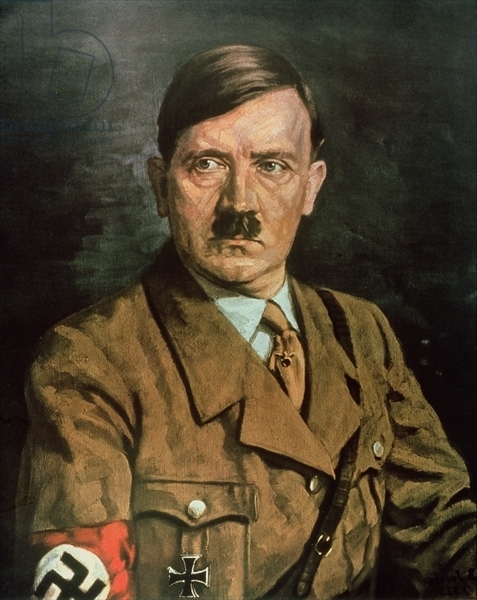 Likewise, Hitler and Stalin stayed in power for decades, foiling plots against their lives and at least in Hitler’s case, the near total destruction of his country. Still, he was able to slip away to South America, where he lived to a ripe old age. If anybody could stick with a problem, it was ‘Dolf. I suppose perseverance is a subset of constancy, the ability to stay on task or on course no matter what happens. There are some people who get married and stay married for the rest of their lives, immune to temptation or the desire to make a better deal down the line. Others are always second-guessing their initial choice, imagining that they sold themselves short and will do better the next time. Perseverance seems dramatic and courageous, while constancy sounds like a Victorian virtue for women who are housebound. In a world of wardrobe malfunctions and viral Youtube fame, constancy sounds very tame indeed. Wouldn’t it be interesting if it made a comeback, and if our new heroes will show determination and constancy, against all odds? Imagine a love song about a woman who can be depended on, rather than about someone who is hot. Darwinian survival is oblivious to recognition or praise. People dont persevere because it makes people admire them. Its a survival trait and a damned good one. If you survive you pass more copies of those good genes on. You’re doing some great writing man.